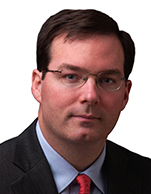 Henry H. McVey joined KKR in 2011 and is Head of the Global Macro and Asset Allocation team. Mr. McVey also serves as Chief Investment Officer for the Firm's Balance Sheet. Prior to joining KKR, Mr. McVey was a managing director, lead portfolio manager and head of global macro and asset allocation at Morgan Stanley Investment Management (MSIM). Prior to that he was a portfolio manager at Fortress Investment Group and chief U.S. investment strategist for Morgan Stanley. While at Morgan Stanley, Mr. McVey was also a member of the asset allocation committee, and the top ranked asset management and brokerage analyst by Institutional Investor for four consecutive years before becoming the firm's strategist. He earned his B.A. from the University of Virginia and an M.B.A. from the Wharton School of the University of Pennsylvania. Mr. McVey serves as co-chair of the TEAK Fellowship board of trustees and is a member of the Pritzker Foundation and Lincoln Center Investment Committees. He is also a member of the national advisory board for the Jefferson Scholarship at the University of Virginia.